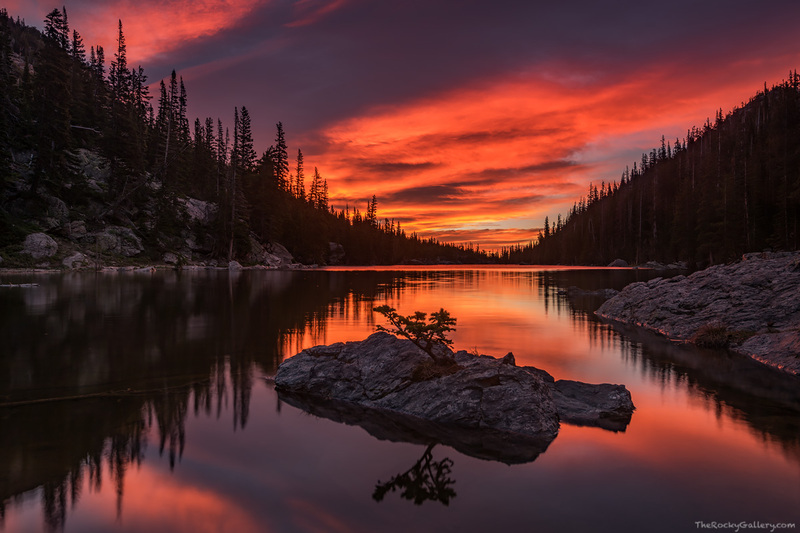 From the far shore of Dream Lake an otherworldy sunrise unfolds over Rocky Mountain National Park. Sunrise in Rocky Mountain National Park's are always beautiful but the one this particular morning from the shores of Dream Lake was one of the most beautiful I've seen while photographing in the park. Photo © copyright by Thomas Mangan.